As with the past two issues, here’s a collection of the reviews I’ve come across for Artifacts #3. If you happen to know of any reviews that aren’t linked below, feel free to post a link in the comments. Artifacts #4 should be in stores in a few weeks, bringing the first act of the storyline to an explosive conclusion. Literally. 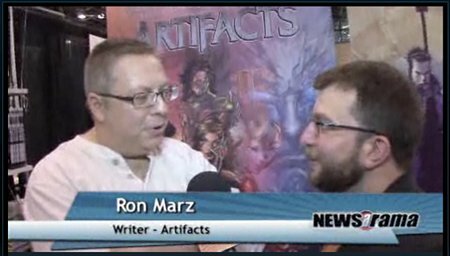 An additional video interview from the New York Comic Con popped up on Newsarama, so here ’tis. As I recall, I could barely turn my head most of the weekend, as I’d somehow slept wrong and woke up with a stiff neck the night before heading into NYC. One of those chair massages managed to loosen the muscles in my neck just enough to make the weekend tolerable. But probably not enough to keep me from looking awkward in these videos. 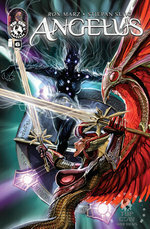 Both Angelus #6 and Witchblade #139 will hit stores this Wednesday, Nov. 10. Preivew pages of both can be found below. 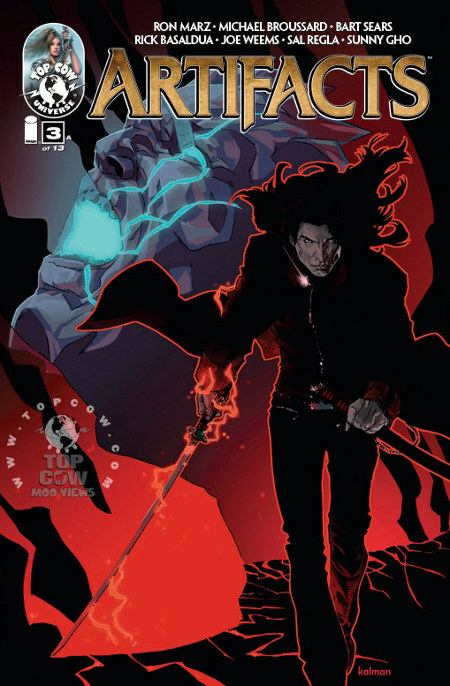 Angelus #6 is the finale of the mini, bringing the storyline to a (hopefully) satisfying conclusion. After some health concerns that landed him in the hopsital, artist Stjepan Sejic is back to full strength on the issue, and I think it shows in the art, including that fairly stunning spread on pages 4 & 5. 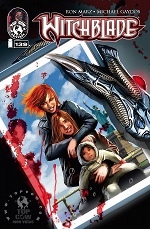 The art for Witchblade #139 is by Eisner winner Michael Gaydos, probably best known for his work on Aliaswith Bendis. Michael had an available slot in his schedule, which made the decision to bring in a pinch-hiiter for regular WB artist Stjepan Sejic a bit easier. While Stjepan concentrated on Angelus #6, Michael penciled, inked and colored #139, and turned in a gorgeous job. The story follows up on the tragic events in Sara’s life revealed in Artifacts #1, showing the emotional fallout for Sara and those around her. You don’t need to have read Artifacts to fully grasp the Witchblade issue, and you don’t need to read the Witchblade issue to “complete” Artifacts in any way. But if you read them both, I think you get a bit richer story experience. Hope you check ’em out. Three video interviews shot at the New York Comic Con have gone up, so I’ve embedded them here. 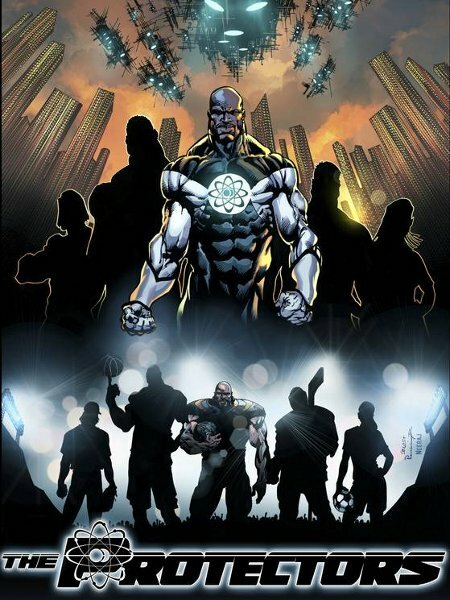 First up is a piece with CBR’s Jonah Weiland, which incudes some discussion of my column for that site, which will start later this month. After that, interviews with The Quarter Bin, and brand new site Pop Galaxy. The convention floor is never an ideal venue for an interview, as there’s so much going on around you. But the floor interviews do at least give a sense of the energy level and, frankly, chaos at a big show.